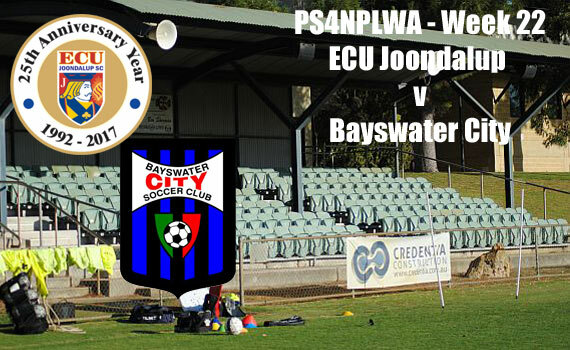 ECU Joondalup will be looking to get back in the winners circle when they take on the form team of the PS4NPLWA Bayswater City at the ECU Football Stadium on Saturday afternoon. The Jacks have slipped off the pace in recent weeks, while Bayswater have turned their form around and sit only one point of the league leaders Inglewood United. It’s been a long time between drinks for the Jacks against City at home the last time we beat them was in round 14 in 2012 when a David Foster penalty gave us a 1-0 win, and three points are vital if we are to keep the top four finals hopes alive. Skipper Jon Higgins said he likes playing the Blue and Blacks and they are ready for another tight encounter. “I always like playing Baysie, who are on a decent run at the moment, the games in the past have always been a good solid contest and usually quite entertaining, both teams have similar strengths and hopefully will make for another cracker,” he said.